McCall's Air Conditioning & Heating is proud to serve the Tempe community! About Tempe, AZ - Happy to be your hometown Heating & Air Conditioning Contractor! Tempe is a city located in Maricopa County, AZ, and it was formerly known as Hayden’s Ferry. Its current name comes from the Vale of Tempe in Greece, and it is the home of Arizona State University. The university serves as the top employer in the city, and some of the other largest employers include the Maricopa County Community College District and the Salt River Project. 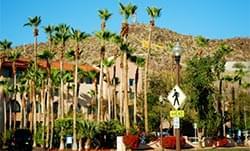 The climate of Tempe is known for its warm winters and hot summers, and the high temperatures in the summer are some of the highest in the United States. Tempe is home to a variety of attractions and activities that may be of interest to residents and visitors. The Mill Avenue District is a great destination for shopping, nightlife, and dining, and art lovers may like to check out the exhibits at the Tempe Center for the Arts. Golf enthusiasts may enjoy playing a round at the Karsten Golf Course, and the SEA LIFE Aquarium is another one of the most popular entertainment opportunities in the city.